Family Law Loveland: Do You Need An Attorney For Your Case? Do You Need A Loveland Attorney For Your Family Law Case? When it comes to the Colorado Judicial Branch’s 2016 Annual Statistical Report, there were exactly 34,966 court filings in the family law court in 2016. When you talk to people who are working in the courts, they will likely tell you that the majority of those cases involved people who did not have an attorney. While you absolutely have the right to represent yourself in court, the real question is, should you? After all, legal matters are involved, extensive, and often extremely complicated. If you are currently dealing with a family law matter and you are not sure whether or not you should have an attorney on your side, continue reading below. Plain and simple, in a family law case, there is going to be another party that is causing you opposition. It is not unlikely that you and this other party are going to have your fair share of disagreements. When you are unable to come to an agreement on something, the chances of your changing your mind on your own are slim to none. This is where a lawyer comes into play. You need someone who can give you advice and help you to form a compromise with the other party. Are Attorneys Worth The Price? Being involved in any sort of legal case can take a toll on a person. If you opt to represent yourself, this means even less time you have to take care of yourself both physically and mentally. With legal requirements, deadlines, piles of paperwork, and more, it’s not likely you will be getting much sleep if you are left to handle everything on your own. This is especially true if you are dealing with a divorce or custody issues. Consider the amount of work you have to do alone on top of the emotional distress you are already dealing with. Having a lawyer can help you to separate the business matters of your case and your emotions. This will let you know that all decisions are being made strategically and with logic, rather than based on the feelings you are experiencing at any given moment. 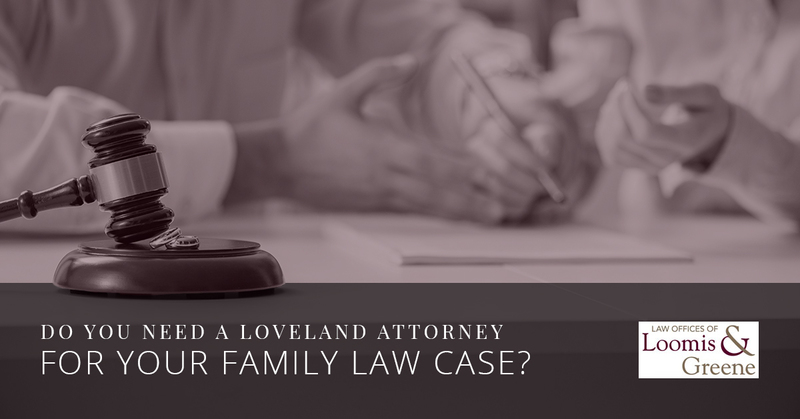 If you are still on the fence about whether or not you need to hire a Loveland attorney to handle your family law case, we understand. You should know, however, that most law firms will offer you a free initial consultation. In this consultation, you can work to better understand what a specific attorney can do for you moving forward. You can also discover whether a certain attorney is a good fit for you or whether you may need to look into different representation. 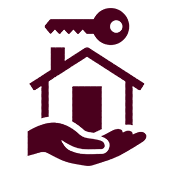 The Law Offices of Loomis and Greene is a trusted entity in Loveland and the surrounding areas. If you have a family law case and you are considering hiring a lawyer, we suggest that you contact us today. We would be happy to answer any questions you have and discuss your options with you once we learn more about your case.